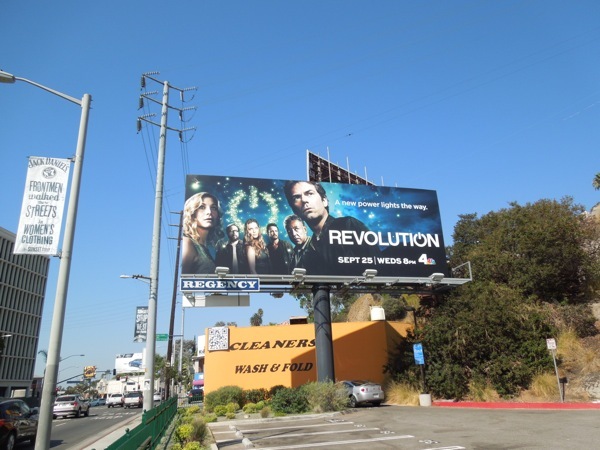 Last year when Revolution debuted it soon became the glimmer of hope in NBC's troubled schedule of drama programming, but it soon began to falter. 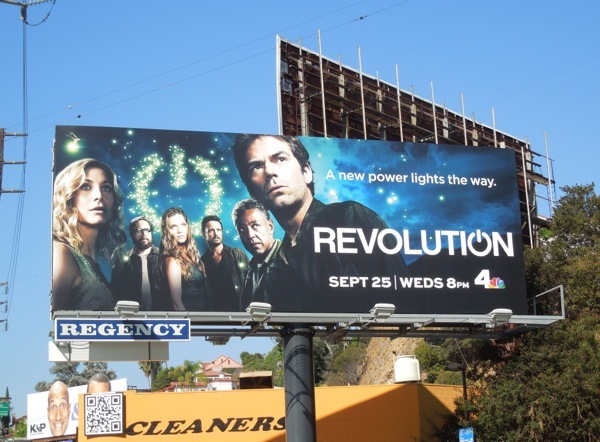 Over the course of the first season we discovered why the power went off around the planet, people were rescued, people died, sacrifices were made, loyalties changed and ultimately in the season finale the power came back on. 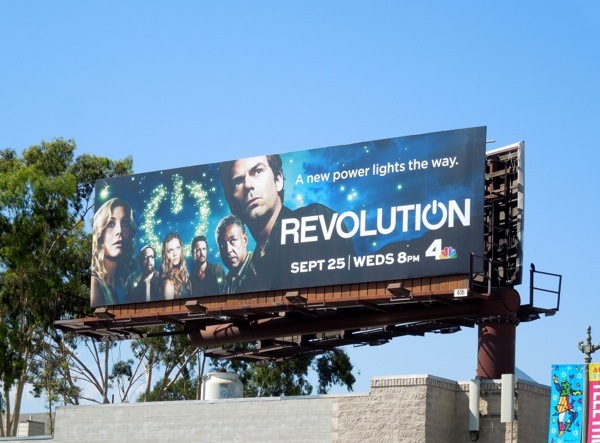 Now the ragtag band of friends, family and foes are back to find a new power lighting the way in the second season of this post-apocalyptic science fiction drama. In the first season cliffhanger we discovered that the President of the United States was still alive and it looks like he has plans to retake America and overthrow the fragmented militias, republics and federations which have survived in varying ways after the blackout for fifteen years. 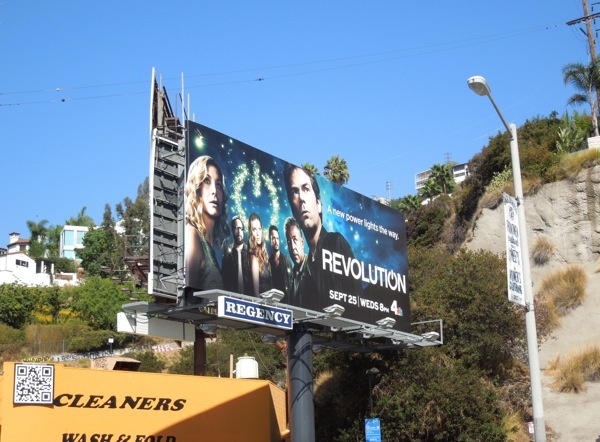 Looks like it's time for another revolution. 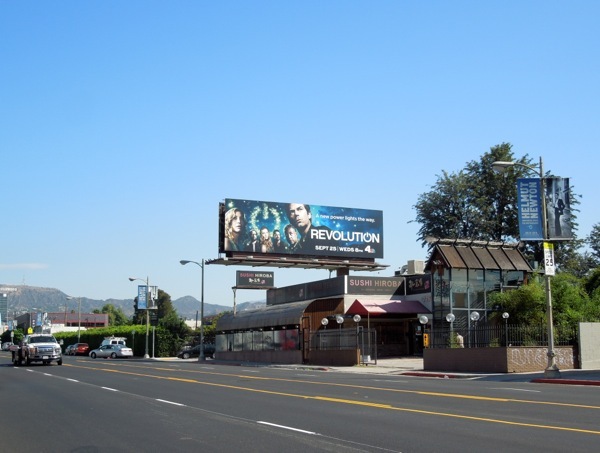 This second season billboard creative was first sighted along Vine Street near Melrose Avenue on September 3, and additional ads spotted along La Cienega Boulevard on September 7, and Sunset Boulevard on September 12, 2013. 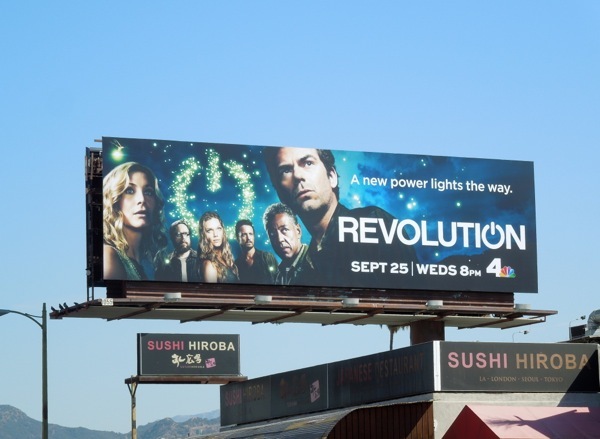 If you're a fan of the futuristic show, be sure to also check out these Revolution season one billboards from around New York City and Los Angeles. They say power corrupts and absolute power corrupts absolutely, so who will have their finger on the switch this season?